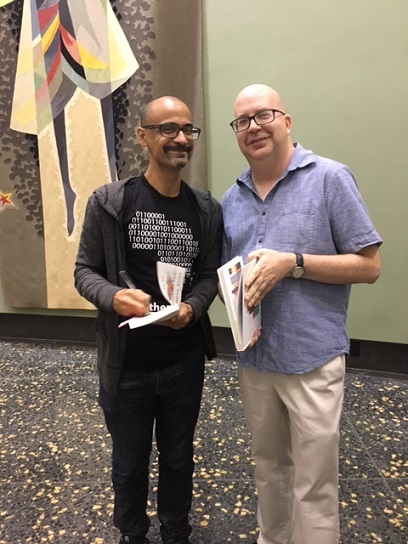 I attended an author talk at Scripps College Tuesday night for Junot Diaz, who won a Pulitzer for his debut novel, and he had enough interesting things to say that I decided to write about it in Friday’s column. That’s followed by items about my own book talk, a dismaying reaction to my shirt (!) and a Valley Vignette. Above, Diaz multitasks by signing a book for me while mugging for the camera.